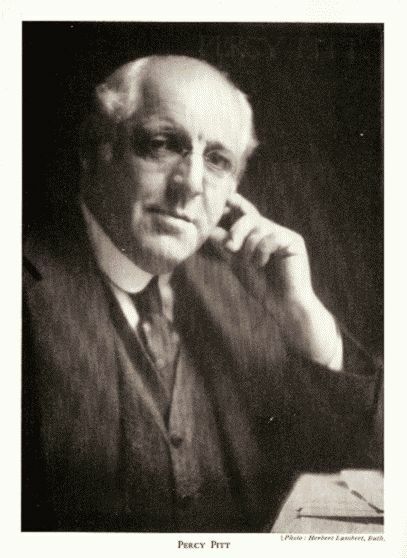 Percy Pitt was instrumental in bringing Hans Richter to London for the famed Covent Garden Ring Cycles of the early 20th Century, and later on joined the fledgling BBC as its music director, making numerous records with the BBC Wireless Symphony Orchestra, including many “Operatic selections” both on Columbia and its sister label, Regal. I’d recommend Daniel Chamier’s book “Percy Pitt of Covent Garden and the BBC”, published in 1938. Pitt died during the night of November 22nd 1932, probably from a heart attack. He was only 62. The book is very much a glowing tribute to the man, and therefore paints a very positive picture, but also makes clear that though he may not have been one of the greats, he was a very fine musician – a conductor, pianist, composer, arranger – and a very good music director both at Covent Garden and at the BBC. He spent a very fruitful time in mainland Europe as a student, and was competent in several languages. The letters between him and Richter quoted in the book suggest a very strong and close working relationship, particularly where it comes to their efforts to champion opera in English at Covent Garden, particularly focused around the English Ring of 1908. After that it was very much a losing battle with the syndicate to get opera in the vernacular in the house. It was left to the Beecham Opera Company and the Carl Rosa company to continue the fight, and to perform a wider repertoire than the very traditional one that the syndicate at Covent Garden promoted. In the early years at the BBC Pitt conducted live broadcasts of several operas – Hansel and Gretel (the first live opera broadcast in Europe, complete on Jan 6 1923), The Magic Flute, Pagliacci, Siegfried, Marriage of Figaro, Faust and Madam Butterfly. Then there was a broadcast of La Boheme with Melba as Mimi. Like Adrian Boult some years later, Pitt was forcibly retired from the BBC when he reached the age of 60, in January 1929. Hamilton Harty assumed that Pitt’s retirement was voluntary, and wrote to hope that it wasn’t for health reasons. It’s a fascinating biography, and well worth seeking out a copy. Prior to his work in the Columbia studios with the BBC Wireless SO, Pitt conducted for HMV – mainly as an accompanist for singers such as Louise Kirkby Lunn, Clarence Whitehill, Luisa Tetrazzini, Minnie Saltzmann-Stevens, Maria Gay, Emmy Destinn, John McCormack, Titta Ruffo, Fernand Ansseau, Miriam Licette, Edith Evans, Rosina Buckman, Robert Radford, Edna Thornton, Marie Louise Edvina, Graziella Pareto, Dmitri Smirnov, Florence Austral and Chaliapin. The first record below is by a lesser known singer, Jeanne Brola. It’s also worth noting that Pitt did make some purely orchestral records with HMV: Wagner excerpts in particular, and interestingly in 1912, the 2 Intermezzi from Wolf-Ferrari’s Jewels of the Madonna – which he recorded again for Columbia in 1926. Recorded 6th May 1921, Hayes, Room 1. This is a curious recording. The first side has the later matrix number, and though it begins as usual, when the first horn call is reached, we find the passage transposed down a minor third into D major. The bass clarinet line is given to lower strings, and a coda is appended. The second side begins from the second horn call, now at score pitch of F major. This means the sides do not join easily. The first file above gives the two sides in full. In the second version, I have digitally repitched the horn call passage into F major (without changing the tempo) to effect a side join and make the piece continuous. This is the third issue of this catalogue number. Previous issues had the Boccherini on WAX 1181-1 (rec 3/12/1925) available from June 1925, replaced in 1926 with WAX 1181-3 (rec 11/6/1926), replaced with the current version in March 1927. This was actually arranged after Coleridge-Taylor’s death by Sidney Baynes (who wrote the famous Destiny Waltz) and was published in 1925. This recording by Pitt is likely to be the first recording of the work. Malcolm Sargent recorded it on one side for HMV in the early 30s. This was the electrical remake of Columbia 901, Matrices 75150-2, 75149-1, recorded July 7th 1922 with the London Symphony Orchestra under Eugene Goossens, and available from October 1922 to August 1926. In the 1890s and early 1900s, Pitt was London’s celesta player of choice for this work, and it was when Hans Richter finally got over his dislike of Tchaikovsky and agreed to conduct it that he met Pitt, and began a working relationship that proved particularly fruitful in the years when they both worked at Covent Garden. The suite is, as usual, spread across 6 sides, but is, unusually, not presented in score order. I don’t know if Pitt harked back to earlier days and played the celesta himself, or if it was left to one of the BBC percussionists. It’s a lovely recording of the suite, though, and the final movement has a glorious account of the harp cadenza, played by Sidonie Goossens (who died in December 2004, aged 105). From the Columbia discography this and the Tannhäuser record (recorded December 1928) were the last Pitt recordings to be issued, and the only two still in the Columbia catalogue by 1950.